The second edition of India-Afghanistan Strategic Partnership Council was held in New Delhi. The meeting was co-chaired by External Affairs Minister Sushma Swaraj and Afghan Foreign Minister Salahuddin Rabbani. Navika Sagar Parikrama, India’s first all women circumnavigation expedition was flagged off by Defence Minister Nirmala Sitharaman in Goa. The crew belongs to Indian Navy and is sailing Indian Naval Sailing Vessel Tarini (INSV Tarini). It will circumnavigate globe in approximately 165 day and is expected to return to Goa in April 2018. The Union Finance Ministry is planning to launch ‘Project Insight’ from October 2017 to monitor high value transactions and detect tax evaders using technology with a view to curbing circulation of black money. 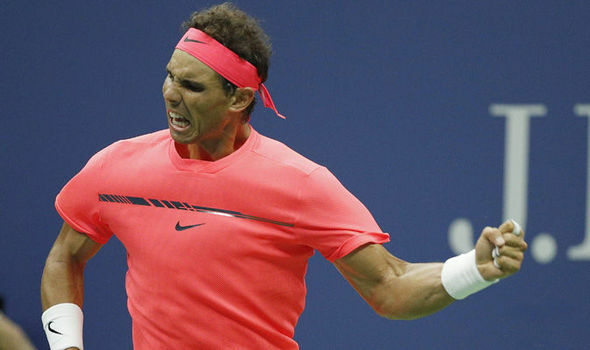 To implement the project government has signed contract with Information Technogolgy major L&T Infotect Ltd.
Rafael Nadal (Spain) won the 2017 US Open title in men’s single category by defeating Kevin Anderson from South Africa’s by 6-3, 6-3, 6-4 score. It was his overall 16th Grand Slam title and third US Open title (2010 and 2013). Two mountain ranges on icy dwarf planet Pluto have been named as Tenzing Montes and Hillary Montes after Tenzing Norgay and Edmund Hillary by the International Astronomical Union. New species of edible freshwater fish have been discovered in Pampa river in Pathanamthitta, Kerala by researchers. It has been named as Labeo filiferus (L.filiferus) and belongs to Labeo genus. The name of newly found newly fish was taken from Latin word filiferus which refers to very long dorsal fin of the species. The Union Ministry of Commerce and Industries has set up Contact@DGFT, an online service facility for effective resolution of foreign trade-related issues of importers and exporters. It will enable traders to raise all trade related matters to Directorate or other agencies of Centre and States.